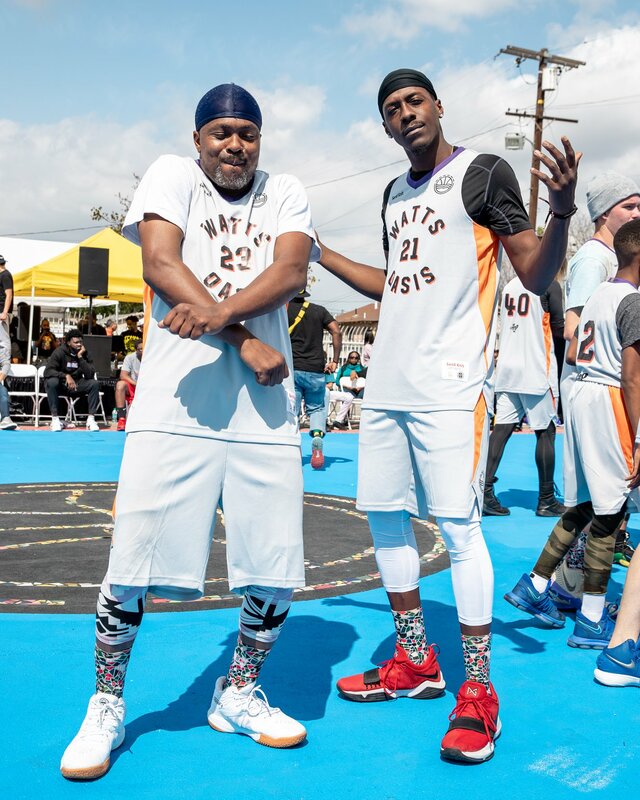 March 25, 2019, Los Angeles, CA – Veniceball sponsored by Crep Protect held an all-day event on Saturday March 23 to inaugurate the Watts Oasis, an art-infused basketball court and community garden. 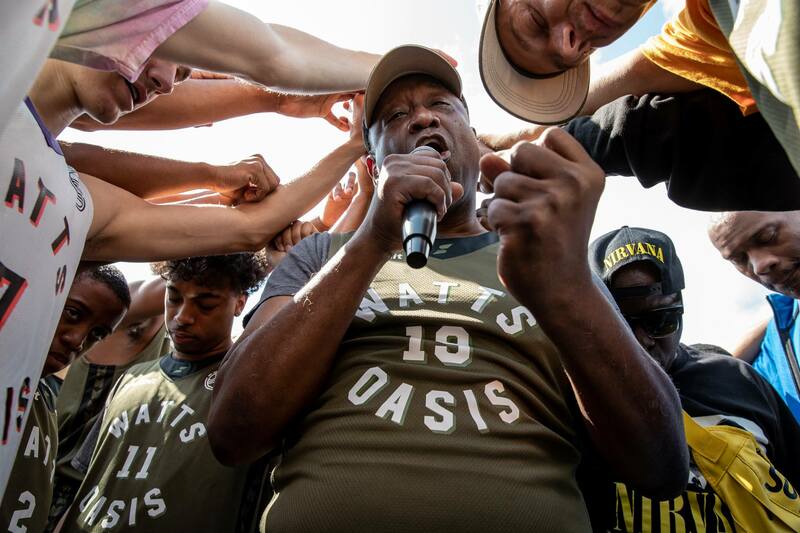 The event hosted performances by local rap legend Watts Stix & Dayly2k, former Harlem Globetrotter, Christon Staples and Tommy the Clown. 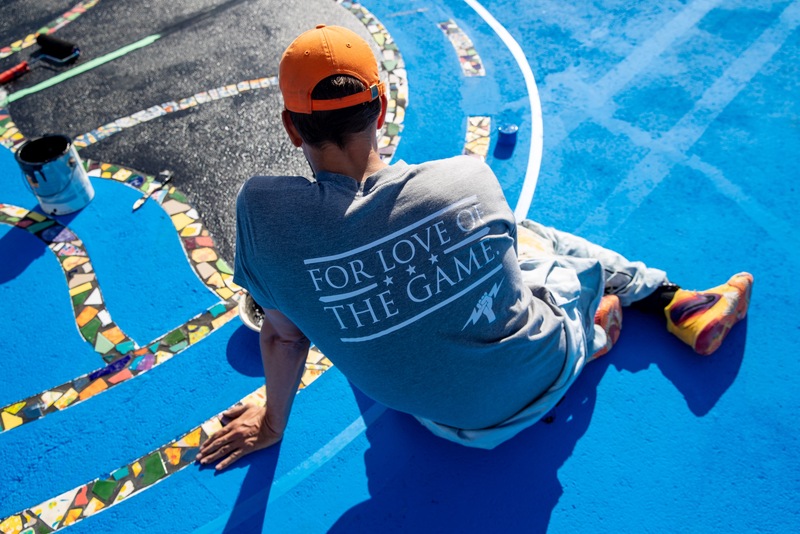 Augustine Aguirre, longtime artist in residence with Watts Towers Arts Center, and Gonzalo Duran, creator of the Mosaic Tile House in Venice Beach alongside Nick Ansom, founder of Veniceball, led the team of craftsman & volunteers in creating this one-of-kind recreational space. 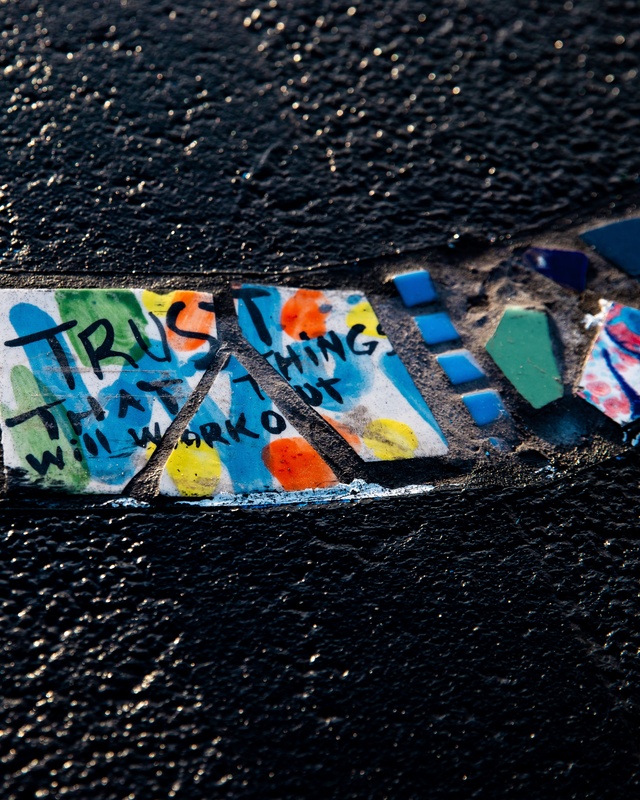 Watts activist and muralist, Robert Miller is also involved, supporting his life’s mission, “to turn Watts from a gang culture to an art culture”. 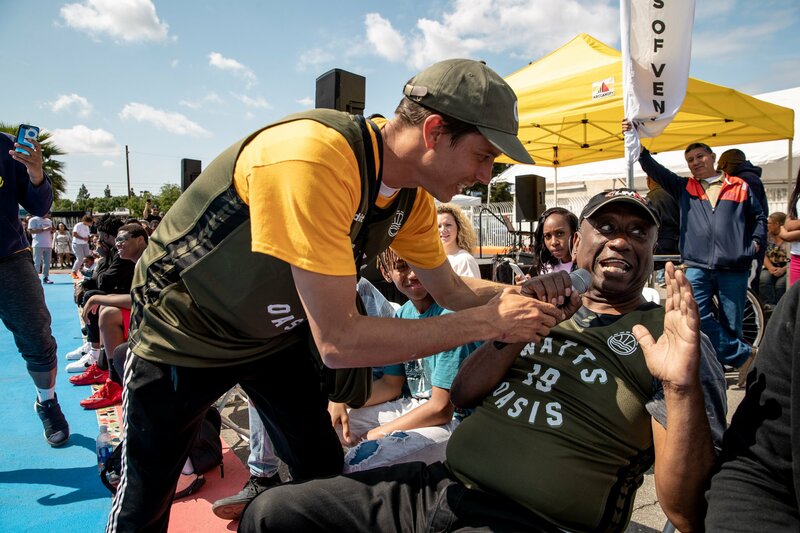 The Watts Oasis was also supported by two major community players – the Watts Neighborhood Council and the St. John’s United Methodist Church bringing in volunteers and donations to complete the project. 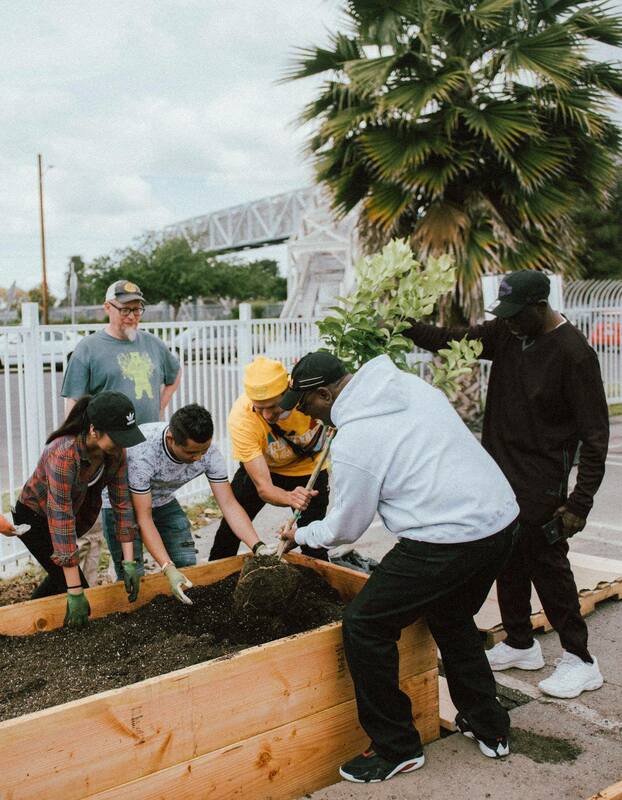 In addition to the basketball court, the Oasis community garden contributed by Community Healing Gardens (CHG) from Venice, an extension of the Watts Healing Garden at Edwin Markham Middle School, planted over 20 vegetables and produce for the community. The event was reminiscent of a Christmas block party. 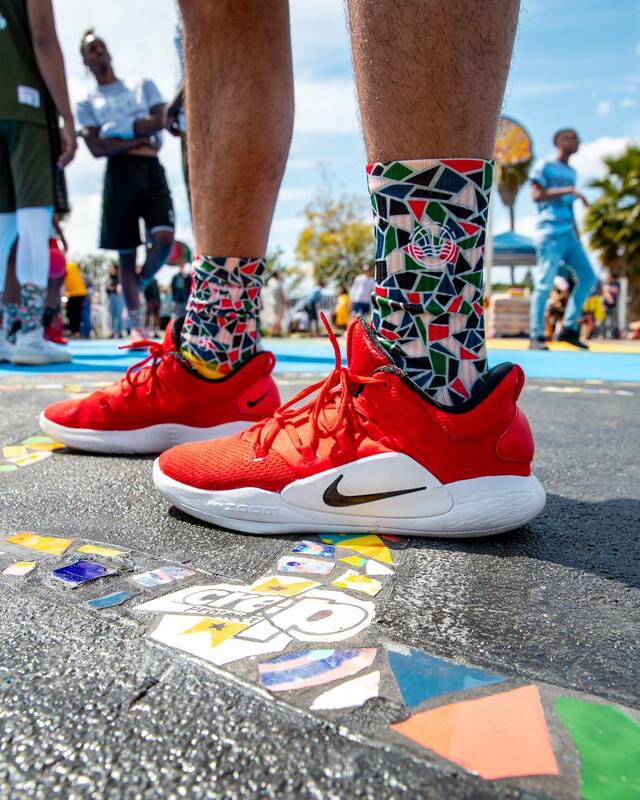 Three hundred gift bags of Crep Protect shoe cleaning products, 250 hoodies and T-shirts from Diamond Supply, 200 event T-shirts and jerseys, dozens of kid’s basketball shoes and 25 Veniceball basketballs were distributed to those in attendance. 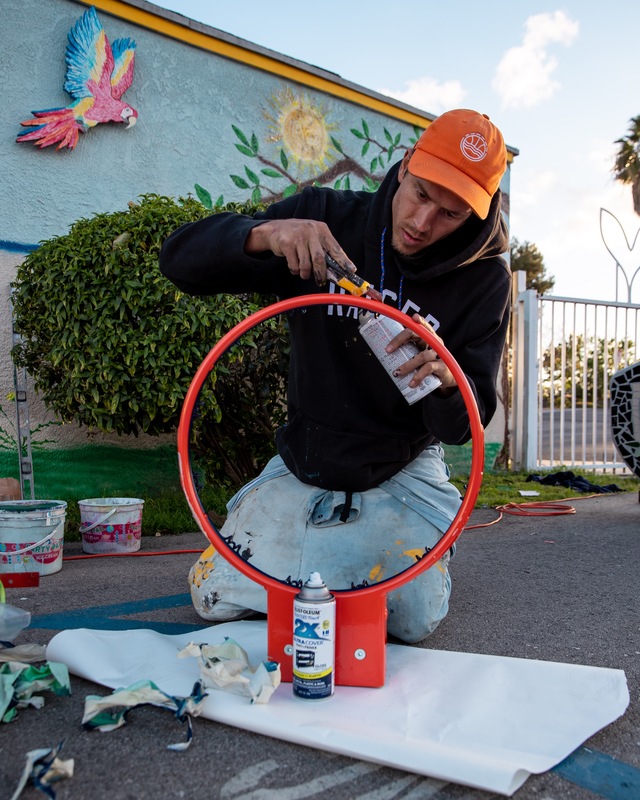 Additionally, there was food and goodies donated by brands such as Califa Farms, Eat Gud, Every Table, and Kind Bars as well as a custom T-Shirt making stations provided by Bristol Studios. Congresswoman Nanette Barragan made a special appearance where she acknowledged and thanked the organization for its work before the all-star game kick-off. 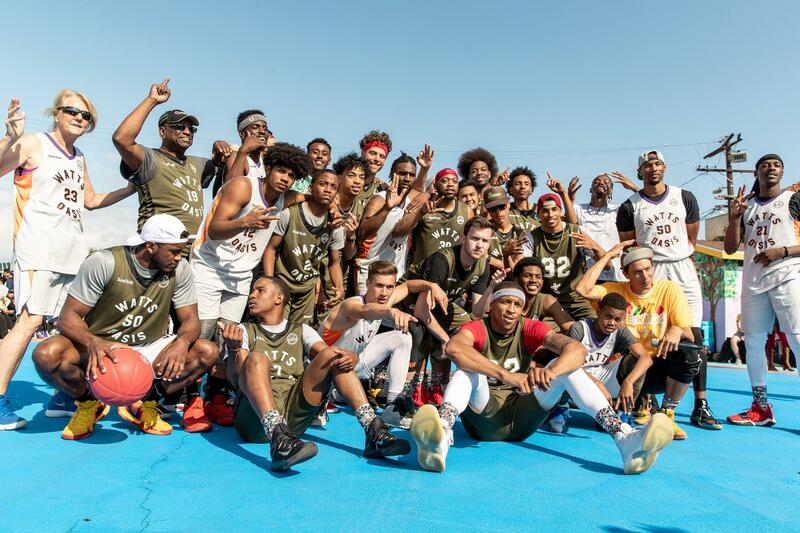 The all-star game, TEAM West against TEAM East, featured writers, dancers, social media influencers – all of whom played a crucial role in bringing the court to life. From the opening tip there was scintillating action as UConn star Kwintin Williams dazzled the crowd with his leaping ability. The first play of the game Robin “Sik Wit it” Kennedy sliced thru the defense launching the ball in the air, almost seamlessly, into the awaiting hands of Williams for a slam that brought the crowd to their feet. Minutes later Pastor Larry, unfortunately, made an attempt at blocking Williams and proceed to get dunked on for the first time in his life. 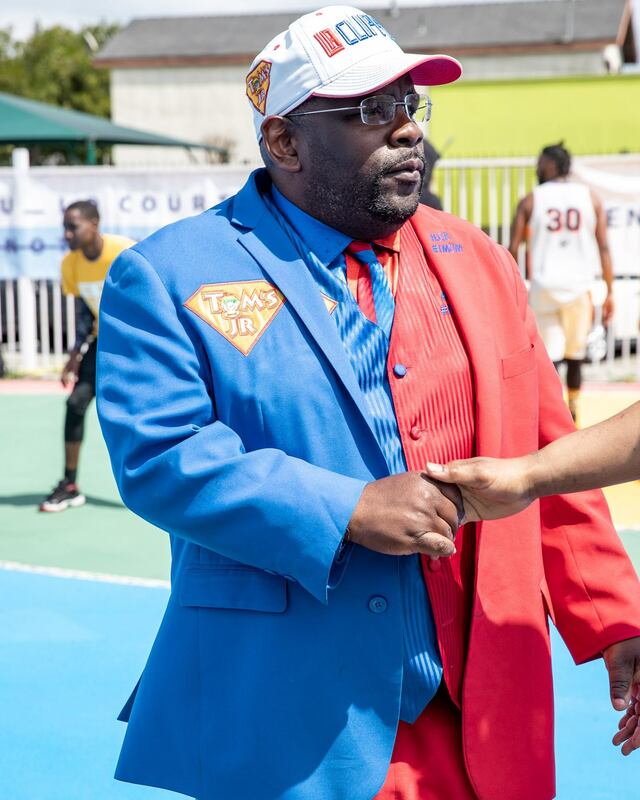 True to VBL form, the game was halted as it was explained to the Pastor that he must sit out the game after such an occurrence, all in good fun of course. The game culminated at 97-98 when Adam Sanford, from TEAM East, caught a poster lob from Evin Barlett, Harlem Globetrotter star, over the outstretched arms of the defender that shut the game down. The crowd invaded the court in cheers followed by a moment of prayer before starting the women’s basketball showcase. 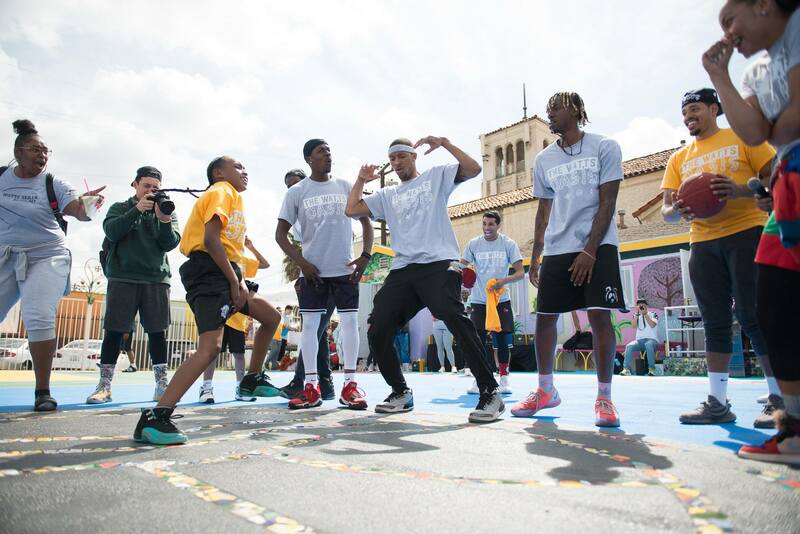 After a special performance from the national champion dance crew The Compton Divas, the crowd was in the mood for some dancing and small circles started to breakout around the once deserted parking lot and an all-inclusive party ensued. 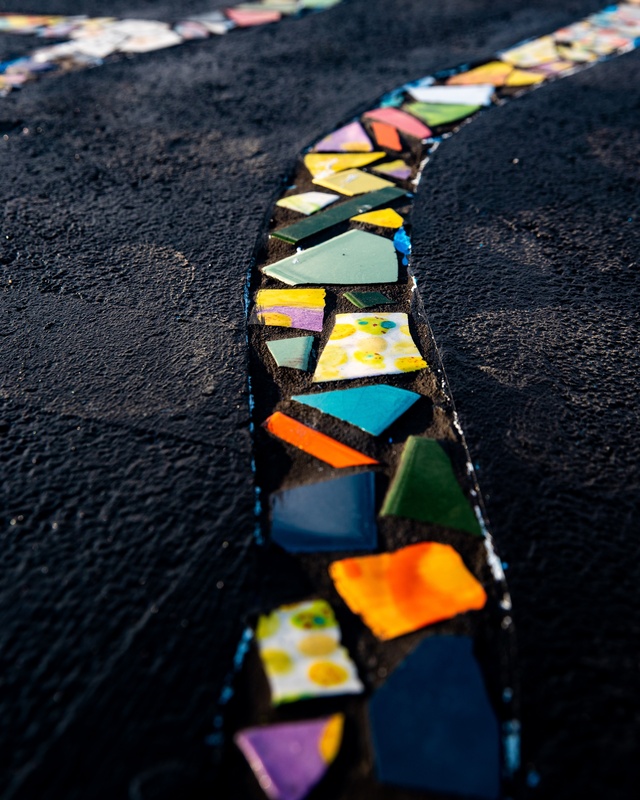 The event was a tremendous success that brought together people from all different walks of life to celebrate and rejoice in the creation of this Oasis. 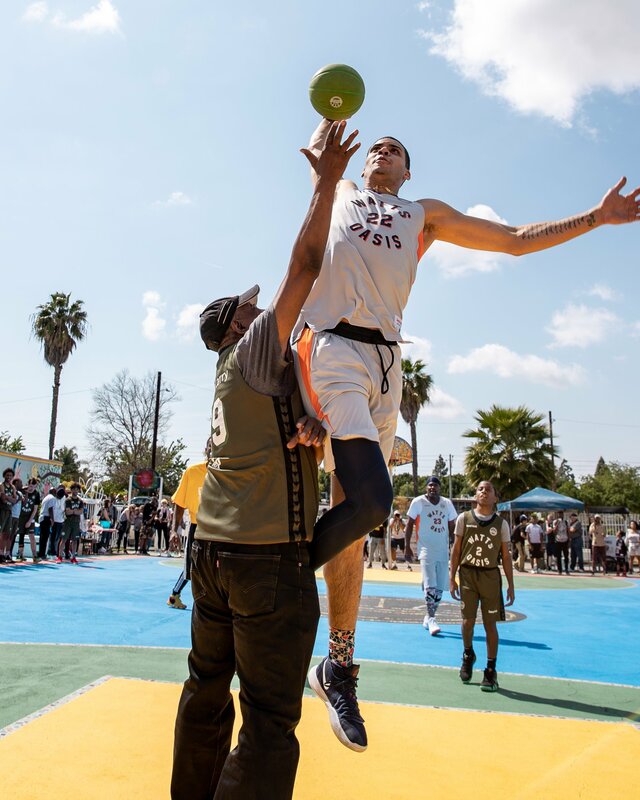 The basketball court and the community garden will be open and accessible for the Watts community to enjoy. Local kids, “Little John” and Angel have proclaimed themselves as keepers of the court and have vowed to keep it clean and safe for all to use. 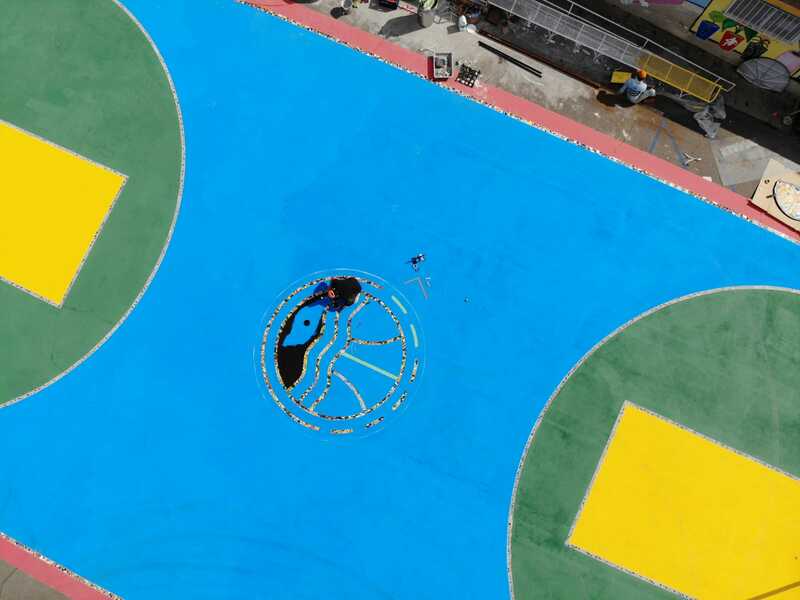 Veniceball runs the VBL, whose summer seasons take place on its home court at Venice Beach. 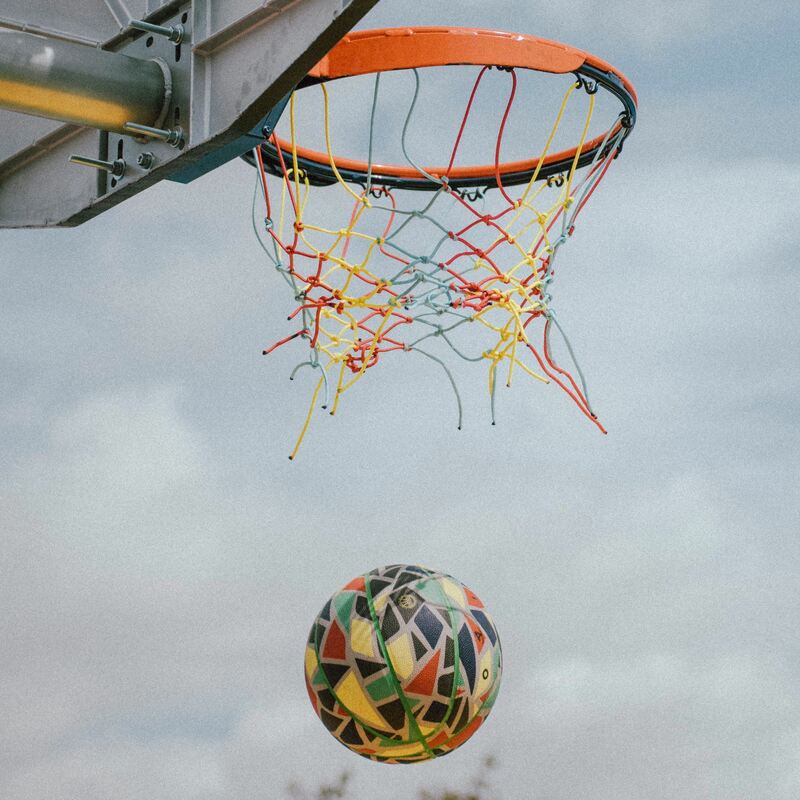 Through its relationship with Project Backboard, for which Ansom also serves as a director, Veniceball has renovated over ten courts around the world and donated over 1,000 basketballs as part of a grassroots initiative to bring communities together through the game of basketball. 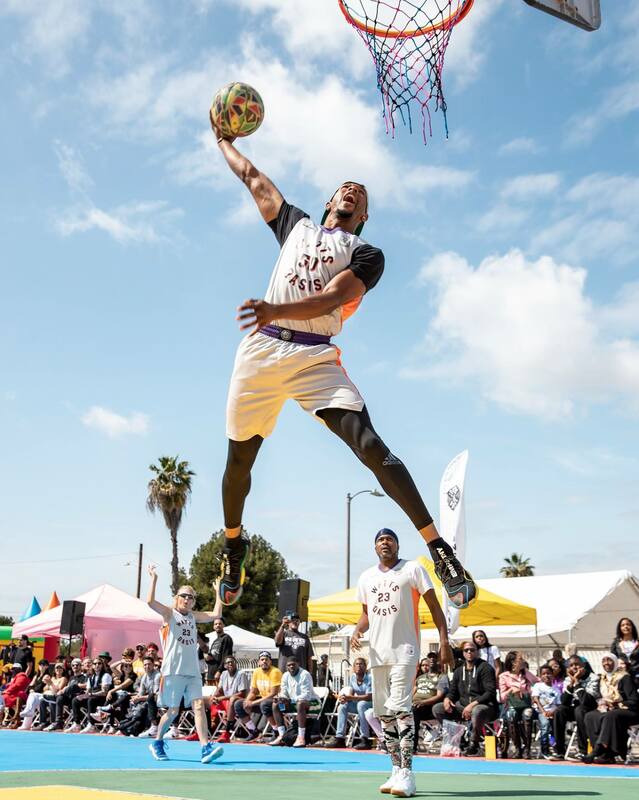 In Watts and around the world, from Paris to the Philippines, the organization regularly hosts tournaments, toy drives, yoga and healthy eating classes, and often visits Skid Row to bring entertainment, clothes and meals.